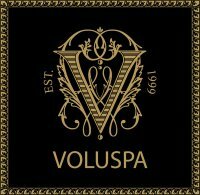 Voluspa candles are some of the most sought after luxury candles on the market today. With their coconut wax blend, they are ultra clean burning with excellent fragrance throw not to mention their unique styles. This is a favorite luxury brand at Candlefind so w e’ll be reviewing quite a few in the months ahead. Stay tuned. Spruce Cutting from Voluspa scent description: Fresh & crisp woodland cuttings of Royal Colorado Blue Spruce freshly snapped and trimmed for a spectacular fragrant garland. If anyone is up to tackling the world of "luxury," it's Andrea! This time around, she tried a candle from Voluspa in the scent Limoni Frosted Biscotti. Enjoy!